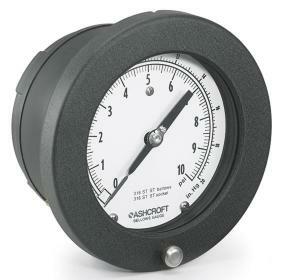 The Ashcroft® 1187 bellows gauge is used when low pressure measurement is a requirement. Its highly sensitive system and standard product features provide for a safe means for measuring process media. An ideal product solution for many installation points.